It was Castleton’s small class sizes, affordability, and proximity to her hometown that originally attracted student Rosa Wallace. Now well into her junior year, it is the strong sense of community at the University that she is most prideful of. Being a Vermont native, Wallace finds comfort in the green mountain environment and countless outdoor opportunities. 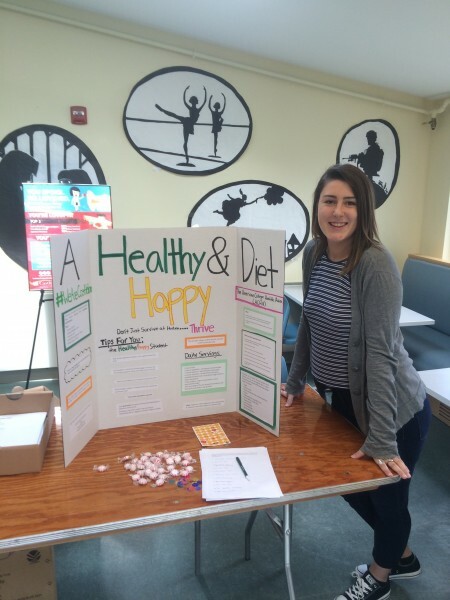 Outside of her academics she serves as a student leader on campus, lends a student perspective for the Castleton AOD Task Force, and works as a community advisor. “Being a community advisor is giving me leadership experience that will be helpful with any job I have in the future,” she said. Wallace credits advisor Katy Culpo with helping her navigate her journey in the Health Education field. Through the years she has provided valuable insight into the program and a great amount of support in all her endeavors.